Fugitive diamantaire Mehul Choksi, who is an accused in the PNB fraud case, will have visa-free access to around 132 nations. A day after reports emerged that Choksi may have taken refuge in Antigua, the Citizenship by Investment Unit (CIU) of Antigua & Barbuda confirmed that diamond trader was granted citizenship in November 2017. Apart from its beaches with clean turquoise waters, the islands in the Caribbean are known for stashing ill-gotten wealth of world's filthy rich. While these small countries are often labelled as 'tax havens', the islands have of late become the most sought after destination for fleeing financial fraudsters. The citizenship-by-investment programs (CIP) in Caribbean island states like St. Lucia, St. Kitts and Nevis, Dominica and Antigua & Barbuda have attracted high net worth individuals from countries like China and India. The paid citizenship programs and lack of extradition treaties have made these islands a safe haven for fugitives. While negligible taxes and freedom to travel across the globe attract businessmen to opt for passports of these nations, the convenient process to obtain citizenship has made them the top choice for absconders evading the law in their own countries. English-speaking Antigua is one of the two major Caribbean islands that make up the sovereign nation of Antigua and Barbuda. With a population of close to 1 lakh, the country is also a popular retirement home for billionaires. Ranked among the most powerful passports in the world, the passport holders of the Antigua and Barbuda, an independent Commonwealth state in the Eastern Caribbean, enjoy visa-free travel to approximately 132 countries, including the UK, Singapore and the countries in the Schengen zone which covers most of the Europe. However, one would need to apply for visa to travel to the US, China, Russia, Canada, and Japan on an Antiguan passport. Launched in 2013, the country offers three types of investment under its citizenship-by-investment program. The first is to make a contribution to the National Development Fund, the second is investment in previously approved real estate projects, and the third is to invest in a business approved by the government. A contribution to the National Development Fund (NDF) of a minimum non-refundable amount of $200,000. An investment of at least $400,000 into one of the approved real estate projects and to be held for a minimum period of 5 years. An investment of a minimum of $1,500,000 directly into an eligible business as a sole investor or a joint investment involving at least 2 persons in an eligible business totalling at least $5,000,000 and each of those persons individually invests at least $400,000. However, after Hurricane Irma ravaged the island of Barbuda last year, the local government reduced the investment threshold for NDF option by 50 per cent to $100,000 for a family of up to four persons. What's interesting is that a citizen has to spend at least 5 days in Antigua and Barbuda during the period of five calendar years after having obtained the citizenship. While India does not have any bilateral extradition treaty with Antigua, it can still seek Choksi's custody under money laundering charges as Antigua is a member of Caribbean Financial Action Task Force. Financial Action Task Force (FATF) is an inter-governmental watchdog which combats money laundering. In his budget address earlier this year, Prime Minister of Antigua & Barbuda, Gaston Browne, revealed that the country's Citizenship by Investment Programme had raised some $300 million in the form of direct revenue and capital investment during 2017. This amount is almost equal to about 20 per cent of country's GDP. It offered citizenship to 321 applicants in last year. The island nation attracts offshore investment as it provides benefits like - no direct taxes, no taxes on personal income, no taxes on inheritance. Antigua also offers dual citizenship, but as an Indian Choksi will have to renounce his Indian citizenship as the Indian law doesn't allow it. Canada ended visa-free travel for citizens of Antigua and Barbuda last year. Trudeau government had claimed that the CIP program did not have the level of stringency and analysis to satisfy Canada's high standards for border control and security. Reacting to this, Browne said the system involves four levels of stringent vetting of applicants, before approval, including by INTERPOL. 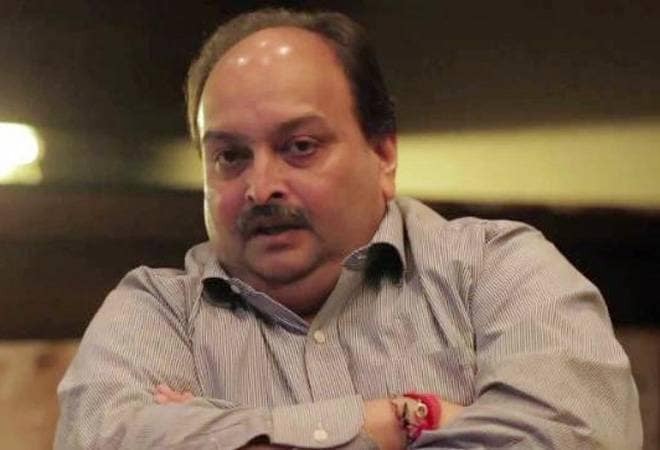 Choksi had obtained the Antigua citizenship much before the PNB fraud came to light.